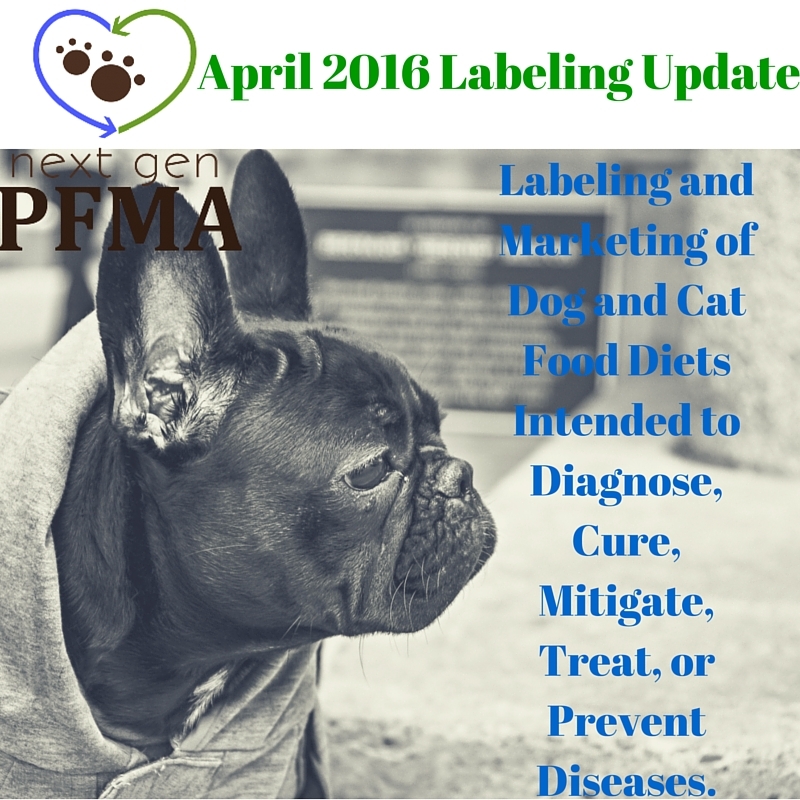 The FDA released a new compliance policy in April 2016 entitled Labeling and Marketing of Dog and Cat Food Diets Intended to Diagnose, Cure, Mitigate, Treat, or Prevent Diseases. Keep reading to learn how this may impact you. Because prescription veterinary pet food formulas are both pet foods and drugs — as they are labeled to aid in the treatment of disease– concern exists regarding proper regulation of these foods-drugs. Reading through the compliance policy, a point is made that there may exist an undeveloped market for high-quality pet food companies – veterinary prescription diets. As long as regular rules of pet food manufacture are observed, a pet food company could market a diet to veterinary practitioners to be used in mitigating signs of a certain health disorder without recourse. The compliance policies are quite clear: the FDA does not intend to enforce the law as long as the diets meet usual labeling, and exhibit good manufacturing practices, so long as the diets are marketed exclusively to veterinary professionals. As long as the marketing claims of health treatments and cures are only shared with veterinarians, the FDA does not intend to enforce the law with these diets. This opens the door for more veterinary prescription formulas. While marketing a new product is not always an easy task, it is interesting to consider the new markets that are available to all manufacturers of pet foods. Is there a list of the small pet food manufacturers who are members? Currently, the list of manufacturers is confidential, as I told several regulators at this summer’s AAFCO meeting. There is strength in numbers, our group is growing rapidly and when the time is right, members will be revealed. Until then, know that if it’s a small company making great pet food or treats (that meets the definition as put forth in the NGPFMA mission), they are either active members or future members.